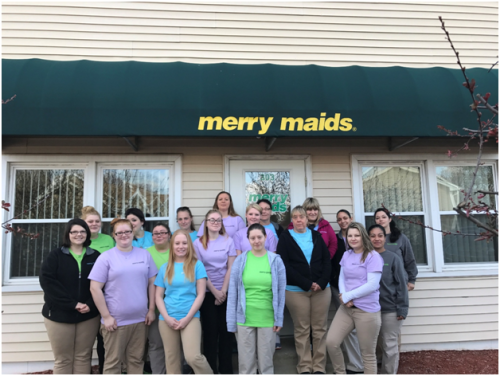 When it comes to house cleaning in Manchester, New Hampshire, there’s no business better suited for the job than Merry Maids. We’re licensed, bonded, insured, and have accumulated 33+ years of experience in giving homes the attention they deserve. This makes assuring your satisfaction with our work easy, because we always go in with high standards regardless of the job. After all of our decades in business, we know what a clean home looks like. The more visits we make to your home, the better it will look and feel in the long run. Everyone deserves proper house cleaning, regardless of what kind of house they live in or how their lifestyles are. Whether you generally keep a tidy place on your own or are struggling to keep anything clean, you’ll be delighted at what a professional can do. Our products are stronger than the ones you get from the store, so their effects will be more noticeable. We’re New Hampshire’s go-to company for cleaning. Our crews have been sent to houses around the Capitol Center for the Arts, the Fisher Cat Stadium, and the McAuliffe-Shepard Discovery Center, and more. You might do a decent job of sweeping your floors and wiping down your countertops, but have completely forgotten about the buildup of dirt on the windowsill. Our house cleaning crew sees to every part of your home, even those hard-to-reach places that you find yourself having trouble with. Mold and mildew won’t have a chance to grow in any part of your house and your indoor air quality is sure to improve. Your house won’t just look better; it’ll be healthier for the people inside of it. Contact us for quality cleaning that reaches every part of your house. We welcome calls from clients in Manchester, Merrimack Valley, and Concord, New Hampshire, and the bordering communities.